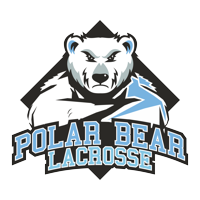 2019-20 Marks Polar Bear Lacrosse 17th Season! Polar Bear Lacrosse League is open to boys and girls in Grades 1-12. Eight games over four weekends plus a championship! Nine divisions to ensure you are placed on a team that best suits your age and playing ability. LOCATION LOCATION... LOCATION... LOCATION... this winter ALL Polar Bear games will be played at the centrally located Sportsplex at Matthews on nine turf fields - all games guaranteed!